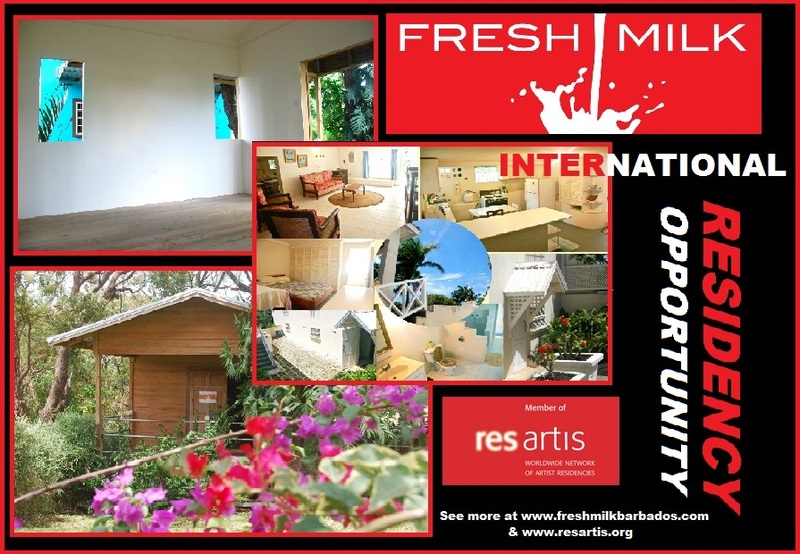 On the heels of our recently begun Local Residency Programme for 2013, FRESH MILK is pleased to announce the launch of its International Residency Opportunity, inviting artists worldwide to apply to spend 1-3 months developing their work on the Fresh Milk Platform in Barbados. Expanding the platform to include international creatives allows FRESH MILK to increase its networking capabilities, embracing those working in the English, French, Spanish and Dutch Caribbean as well as those functioning beyond the region, widening our possibilities to build even larger conversations and facilitate more dynamic collaborations. FRESH MILK is delighted to be part of a global community, allied with creative minds on the ground and in the ‘cloud,’ opening up all kinds of amazing possibilities for us to connect through the arts. There are currently openings for residencies in April, May, June, and September, October, November for 2013. Applications can be submitted on an ongoing basis. The establishment of the international residency included registering with the Res Artis worldwide network of artist residencies, an association of over 400 entities – the largest network of its kind. FRESH MILK is honoured to not only be a part of such a vital association, but also to be one of the only Caribbean organisations listed on their database. View FRESH MILK’s profile on Res Artis here. For additional information, including costs, accommodation options and the full application procedure, visit our newly added International Artist Residency Opportunity page. Great opportunity to spend 1-3 months in Barbados!